These baskets, collected by Clinton Hart Merriam in the late nineteenth and early twentieth centuries, showcase ethnographic basketry traditions from California and the American West. Merriam's focus on diverse, utilitarian basketry makes this collection particularly useful for understanding basketry in relation to native lifeways. The photography of this collection is a work in progress, and will continue to be updated as new images are taken. Stayed tuned! ​Collected from Nunavut, Canada in 1969, these featured works of Inuit art include stoneblock print, soapstone carving, antler carving, and leatherwork. This exhibit was featured live at the Anthropology Expo at Cosumnes River College in Sacramento, the Manetti Shrem Birthday Bash at UC Davis, and will be on display in the Department of Anthropology at UC Davis in Young Hall from November 27, 2017 onward. 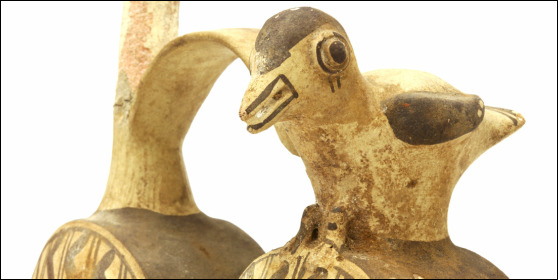 This collection of Peruvian ceramics, donated by Bertha Stubbins, represents prehistoric ceramic traditions of coastal Peru, including the Moche, Lambeyque, Chimu, Chancay, and Wari cultures. Research for the exhibit was done by Celeste Reis with photography from Gregory Wada. An exhibit featuring some of these ceramics is currently on display in the Museum. ​This gallery showcases a collection of ethnographic art collected by Edward M. Nagel, founder of Oroweat Bread, from Africa, India, and China over the course of his life. Mr. Nagel philanthropically donated portions of his personal collection to institutions of art and learning, including this donation to UC Davis in 1967. The gallery consists of historic pictures taken from around the time of donation as well as some contemporary photographs and descriptions of the art cultures that they represent. The Museum formerly hosted an artifact of the week on its social media platforms from around April 2015-February 2016. This gallery is an archive of these "artifacts of the week." 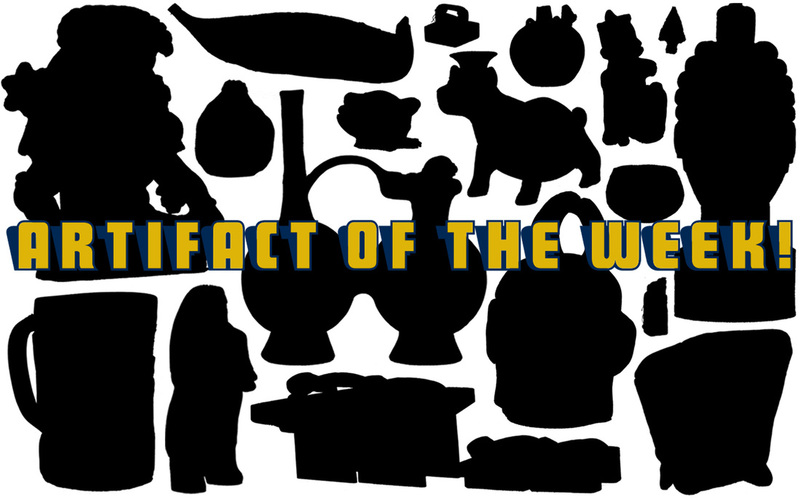 You can still delve into a world of exciting discovery with our Artifact of the Week Archive! You can follow our social media for ongoing weekly updates and more museum happenings!